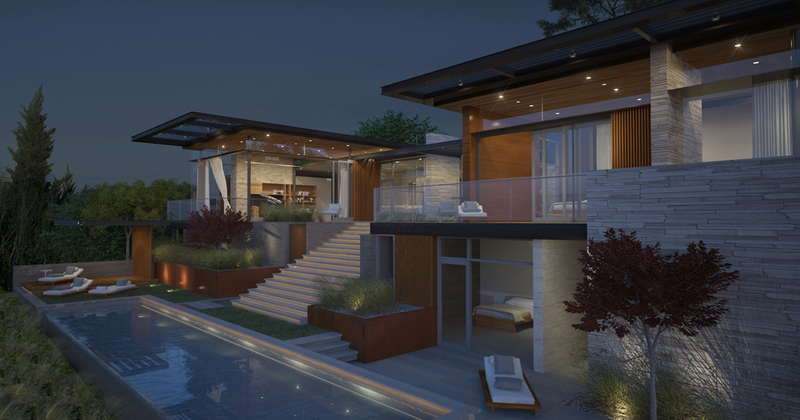 Project Description: The site for this project on Ridge Road in Tiburon boasts views of the Golden Gate Bridge, the San Francisco skyline, and Angel Island. 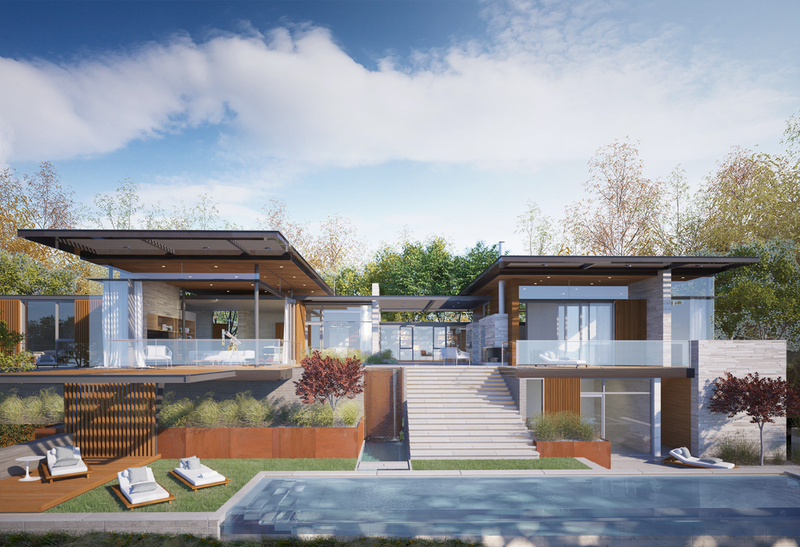 The challenge was to design a home that is worthy of the site and views, is responsive to the topography and solor orientation, and provide an architectural statement that distinguishes itself from the rest of the homes on the hill. 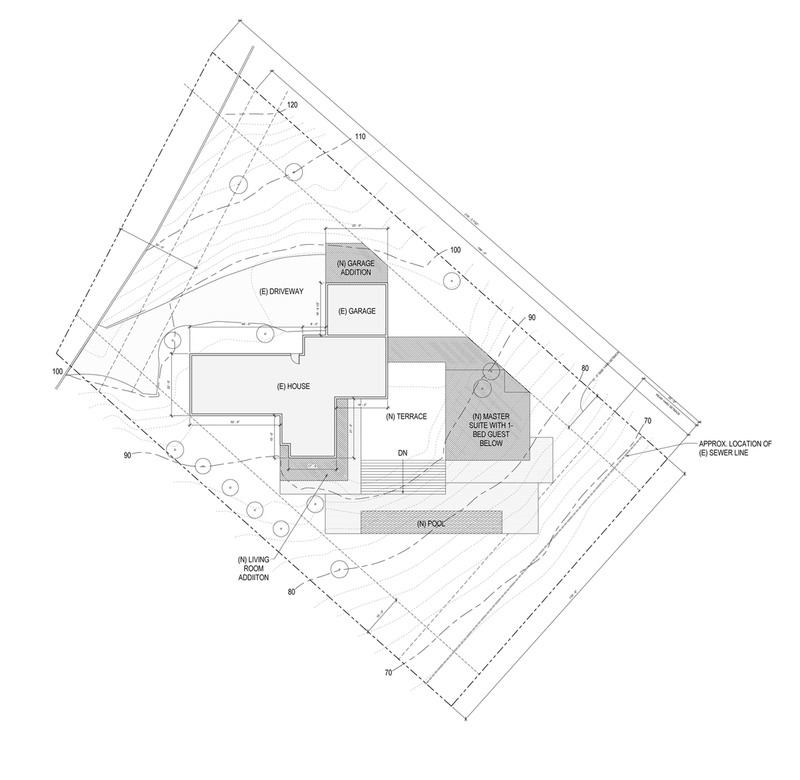 The design is two split volumes with an outdoor room between them that is the center of activity. Wind-protected, shaded by trellis', private and fully integrated with landscaping, the center court area has a large glass sliding door system that opens the living room up completely on two sides. The home terraces down the hill and included a level below with a pool and a guest bedroom. 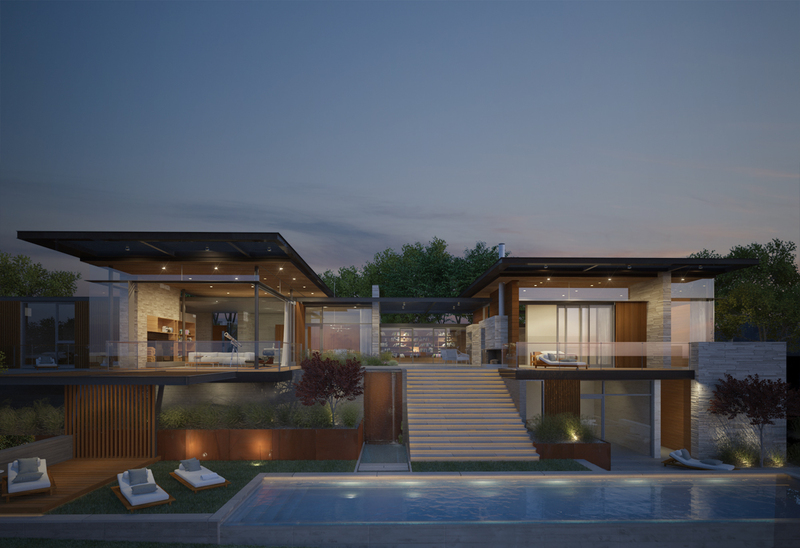 The materials are simple, with sandstone masonry, wood, steel, and glass comprising the modern forms.